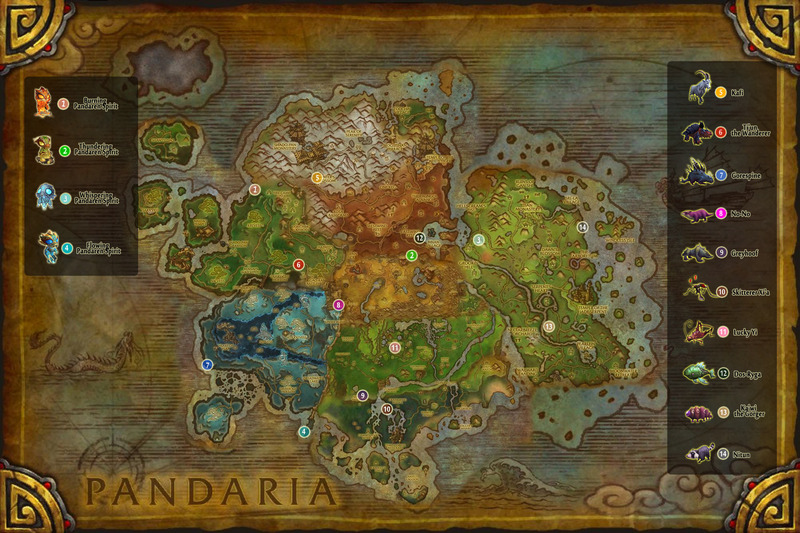 I needed a map to get an overview of the locations of the Pandaren Spirits and all of the Fable Beasts, but since I couldn’t find one, I decided to make it myself. Credit to MikeLive for the original composite map. That’s great, thank you! I’ve done them all just once since the first time, I think this will be maybe a monthly for me. Yeah, I can’t seem to bother doing them every day either, but I think I sit around a few times a week. I am going on the hunt for them right away. I was looking for something new to do in world of warcraft today and this will fit the bill just right. 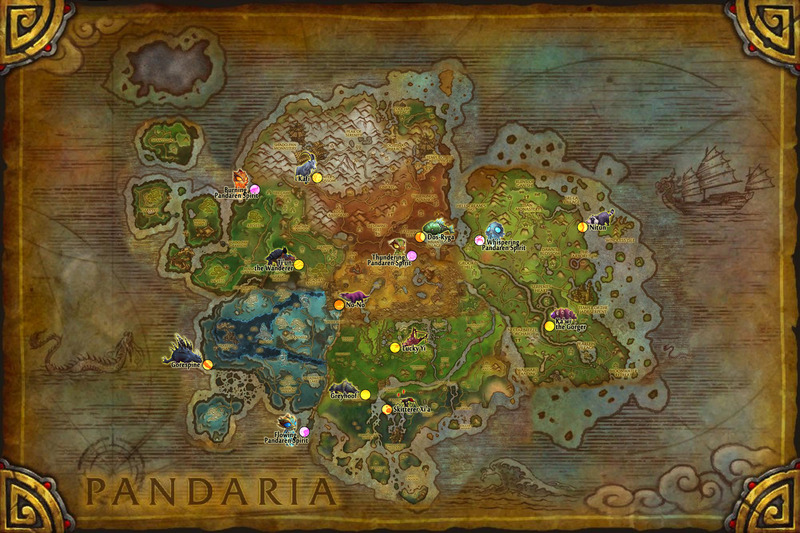 This entry was posted on March 20, 2013 by Ironyca in Pet Battles and tagged Fable Beasts, Map, Maps, Pandaren Spirits, Pet Battles, World of Warcraft, WoW.